The Guide covers changing school programs, staffing for effective discipline, and cutting-edge approaches such as peer counseling for dealing with student values and problems that are drastically different from those of only a few years ago. Robert D. Ramsey, (B.S., M.S., and Ed.D. degrees, University of Kansas), has front-line experience spanning 35 years as teacher, counselor, supervisor, curriculum director, assistant and associate superintendent, and acting superintendent in three award-winning school districts. He is the author of Educator's Discipline Handbook (Parker), Secondary Principal's Survival Guide (Prentice Hall), and 501 Ways to Boost Your Child's Self-Esteem (Contemporary Books). Chapter one: Kids aren't buying what we're selling anymore. It's a new ball game in school discipline. Modern threats to every school. What doesn't work anymore and why. The new agenda for today's youth. Chapter two: Shaping a school culture that works for learning. How the culture drives the school's discipline. Using your school's image as a self-fulfilling prophecy. An informal audit of school climate. How to drag your school's discipline philosophy into today's real world. Trust-building programs that can turn your school around. Celebrating diversity as a positive force in the school. New ways to work with today's students for better discipline. Conflict resolution: Students helping students to solve problems. Guidelines for a successful peer counseling program. How to match students with "caring adults". Chapter three: How changing school programs can promote positive discipline. What it takes to have a curriculum where all students succeed. How to personalize education through schools-within-a-school. Earmarks of successful alternative programs. Advisor-Advisee programs: revisited and revitalized. Themes for the school year. Taking the school to students who won't come to school. Success secrets for effective after-school programs. Sample list of elementary and secondary activities. Sample mission, "Givens," goals of the student activity program. Sample activity director job description. Sample expectations for activity advisors. Ten Ways to use technology to turn students on. 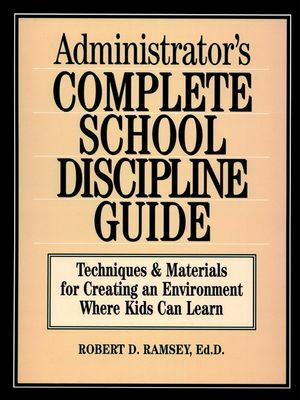 Chapter four: Assistant principals can't do it all anymore— staffing for effective discipline. What it takes to get the job done today. How to make effective use of police liaison officers. Defining the role of security monitors. Step-by-step procedures for conducting background checks on security personnel. Why social workers are more important than ever. Using management aides for one-on-one supervision. Blueprints for using teacher-deans to improve discipline. Making everyone part of the school's discipline team. Creative use of advocates and ombudsmen. Chapter five: How to deal with gangs in school. What gangs are all about. Why gangs appeal to today's youth. Special concerns about girls in gangs. How to spot gang presence in your school. How to make your school a safe-zone from gangs. Examples of gang symbolism in graffiti. Tips for releasing information about gangs to the media. Sample policy #1: gang activity or association. Sample policy #2: gang activity or association. Chapter six: What to do to curb violence in school. New ways to keep weapons out of your school. Security measures that reduce violence. Tips for handling fights in school. How to plan an antiviolence education program. Handling the worst case scenario: terrorism in school. Sample antiviolence policies that work. Sample policy #1: weapons in school. Sample policy #2: dangerous weapons in the schools. Sample policy #3: possession of weapons and/or ammunition. Chapter seven: The best of the best in drug prevention measures. Current trends in student drug use. What's new in drug education. Role of the chemical health specialist. Chemical health specialist sample job description. Making drug prevention a community affair. How to have a drug-free school. Alcohol and other drugs policy (policy #2). Student drug abuse (policy #3). Alcohol use by students (policy #4). Student use of beepers (policy #6). Chapter eight: How to handle sexual harassment in school. What is sexual harassment? What's not? Examples of sexual harassment in schools. Special concerns about student-to-student harassment. How to protect your students and yourself. Sample sexual harassment report form. Samples policies dealing with sexual harassment. A sample school policy on sexual harassment. Sample policy: prohibition of sexual harassment and sexual violence. 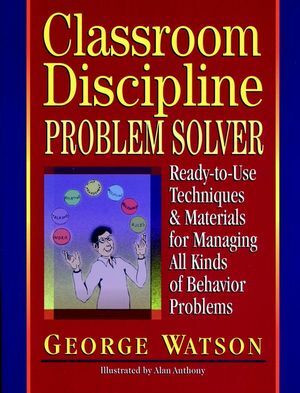 Chapter nine: New approaches to traditional discipline problems. Workable ways to reduce truancy. Sample policy #2: student attendance policy. Sample policy #3: appeals process— attendance. Modern steps to stop student stealing. Tested tips to reduce vandalism. How to handle bus discipline. Sample policy #1: student conduct on school buses. Sample policy #2: student conduct on school buses. Sample policy #3: bus rider rules and disciplinary measures. Sample policy #4: school bus misconduct form. What to do about teen pregnancies, AIDS, and other STDs. Model guidelines for school attendance of children with Human Immune Deficiency Virus. Better methods for crowd control. Guidelines for good spectator sportsmanship. Sample evaluation form: substitute teacher performance appraisal. Do's and Don'ts of due process. Sample policy #1: Student due process rights. Sample policy #2: due process. Sample policy #3: student due process rights. New uses of suspension and expulsion. Sample Policy: suspension/expulsion of handicapped students. Chapter ten: Helping teachers learn the secrets of successful classroom management. It's a different classroom today. Defining a new role for teacher in discipline. What teaching strategies work best with today's students. 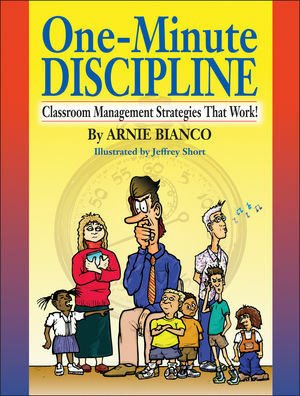 75 discipline tips for today's teachers. Behavior marks on student report cards. Chapter eleven: How to rejuvenate the partnership between home and school. What went wrong with the partnership? The school's role in strengthening the family and the partnership. Education on the home front (16 ways to help your child stay out of trouble and succeed in school). How to help families boost self-esteem in their students. Parent tips on building a child's self-esteem. How to reach at-risk families and gain their support. What it takes to get communitywide involvement. Sample mission and goals: children first partnership. Protocol for conducting town meetings. Chapter twelve: Little things that make a difference in discipline. Ways to work smarter in solving discipline problems. Tips for handling committees and meetings. How to document disciplinary action. When and how to use legal counsel. What king of staff development helps discipline. Chapter thirteen: A final word. It's better than most people think. Appendix A: Sample discipline policies. Student conduct off school grounds.